We spent two weeks in Kenya as part of a month-long tour with Cheeseman’s Ecology Safaris. This animal’s name should actually be “wide” rhinoceros, referring to its lip. 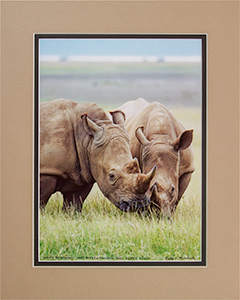 The white rhino is a grazer of short grasses, compared to the black rhino, which has a pointed upper lip more suitable for browsing the leaves of trees and bushes. Both species are gray in color. 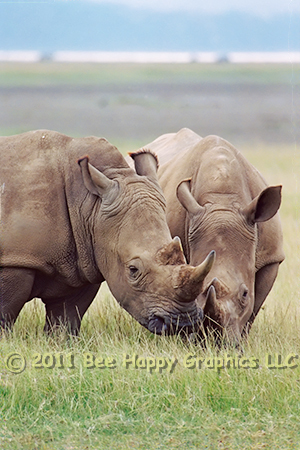 On this expedition we did see one of the highly endangered black rhinoceros, but were unable to get a good picture.